Miroslav Kultyshev was born in 1985 in Leningrad. He finished a secondary special music school under the Conservatory (Zora Zuker’s class).He graduated from the Saint-Petersburg Rimsky-Korsakov Conservatory (class by Professor Alexander Sandler, the honored artist of the RF). 2007 – the winner in the piano nomination at the ХIII International Tchaikovsky competition. In 2012 - the winner at Monte-Carlo Piano masters in Monaco. In 1998 he became a laureate in the Moscow International Festival of young pianists in the name of H. Neuhaus, and in 1999 a laureate in the International Music Festival “Virtuosos- 2000”. From 1995 till 2004 he was a grant holder of the International Charity Fund of Yuri Bashmet and of the Saint Petersburg Philharmonic Society. In 2001 he was awarded with a youth grant of the prestigious Russian National Independent Prize “Triumph”. In 2007 and 2008 he was a grant owner of the Saint-Petersburg Music House. In 2007 he was rewarded with an annual grant by OJSC “JSB Russia” and CF “Alexeevskiy”. He started to perform on the stage when he was 6 years old. At the age of 10 he made his debut in the Grand hall in the Saint Petersburg Philharmonic Hall where he performed a concert re-minor by Mozart conducted by Yuriy Temirkanov. Miroslav Kultyshev gave numerous concerts in the international music festivals like “Kissinger Sommer” (Germany, 2002 -2006) and “Elba – Music Island of Europe” (Italy, 1997, 2003, 2008). He also participated in the festivals such as “Mecklenburg Festspiele Vorpommern” (Germany, 2006 ) and “White Nights’ Stars” (2007), “International Week of Conservatories” (2007), “Music Kremlin”(2008), “Mikkeli Music Festival”(Finland, 2008-2009), “Klavier Festival Ruhr” (Germany, 2008), Festival in Duszhniki (Poland, 2008) and etc. 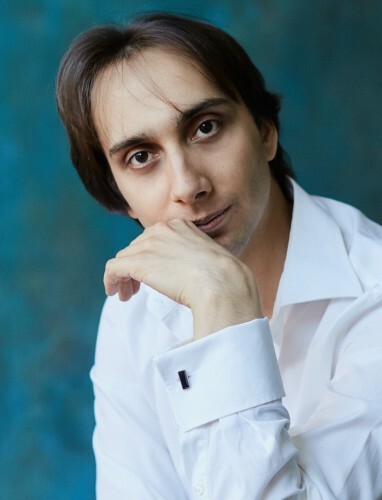 Miroslav Kultyshev performs in the best venues of Saint Petersburg and Moscow and also in the well-known halls such as Musikverein in Vienne, Salzburg Mozarteum, Lincoln Center “Avery Fisher Hall” (New-York), Suntory Hall (Tokyo), Сoncertgebow (Amsterdam). At the present time he goes on tours in various countries. The young pianist plays together with such conductors as Valeriy Georgiev, Vladimir Ashkenazi, Yuriy Bashmet, Sergey Roldugin, Mark Gernshtein, Vasiliy Sinayskiy, Nikolay Alexeevв, Alexander Dmitriev. He attended master –classes of Andrzej Jasinski and Dmitry Bashkirov.